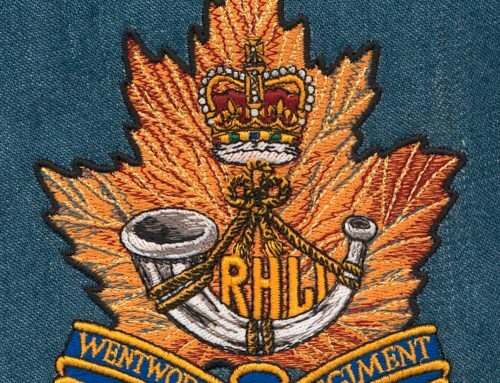 Digitizing for difficult fabrics can sometimes be… ‘difficult’, and knitwear would be considered a ‘difficult fabric’ by many embroiderers. So when tackling this type of fabric, you’ll often need more than just good digitizing techniques to give you a bit of an edge. Let’s start with your choice of stabilizer – it goes without saying that using the right stabilizer will help. I know many embroiderers who’ve been in the business for years that give the same response when asked, “what kind of stabilizers do you use?”. Their answer is always the same, “cut-away & tear-away”. 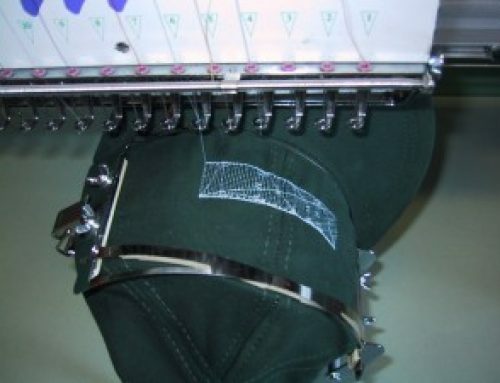 However, stabilizer manufactures have developed many different types of stabilizer products that can aid embroidering on knits – one of my favorites is a “no-show mesh” that gives great stability and looks invisible when used. 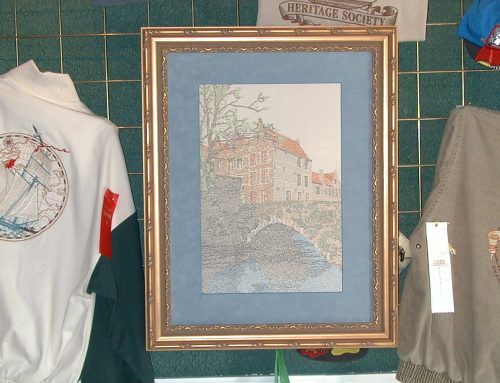 The loose weave of knitted fabrics means that you must be careful of how the embroidery will distort. 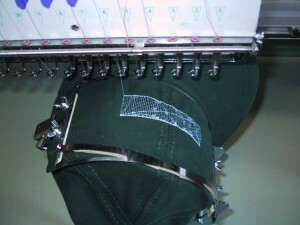 This causes many embroiderers to use a thick cut-away to compensate. This is often a mistake – the result is one of those shirts on which the outline of the stabilizer appears just as prominently as the embroidery itself. For designs with a lot of fills I’ve also used a ‘fusible no-show mesh’ that is ironed on to the garment before being hooped. These mesh backings are so effective and offer such support because they have the same milled attributes as the garment itself. 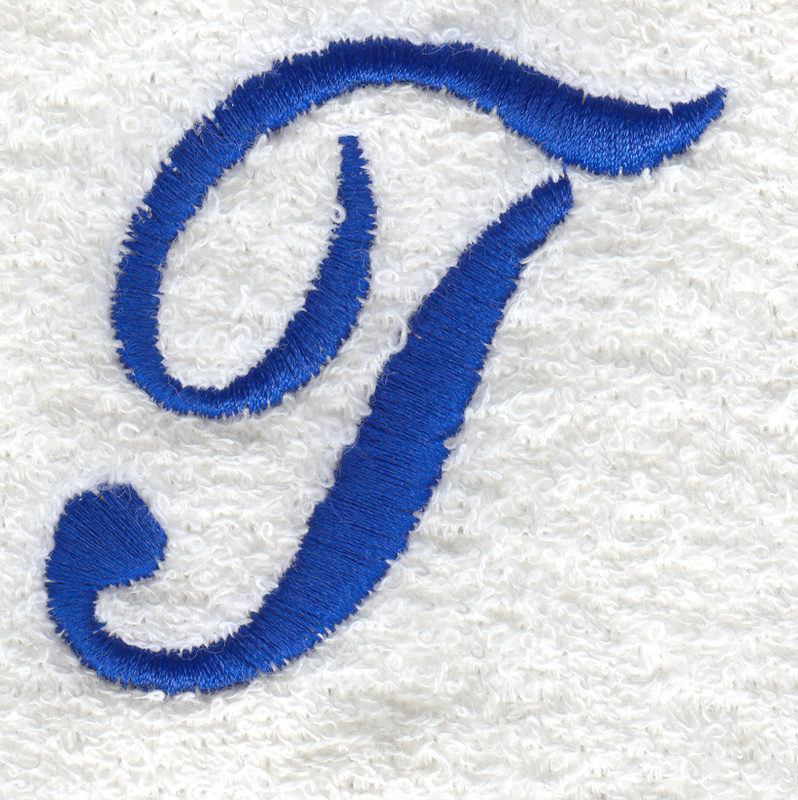 Using a water-soluble topping whenever embroidering small detail or lettering will always improve quality as well. Digitizing for loose knitted fabrics is really all about common sense. For example, when you adjust your stitch lengths for running stitches if you set the stitch length short (say 1.5mm – 2.5mm) then the stitches will just sink into the weave of the fabric and in reality won’t really do anything to help your design, other than add unnecessary stitches. If your stitch length is longer (say 3mm-5mm – see figure 1), the stitch will ‘loft’ on top of the fabric and provide support and integrity to the design. This principle for running stitches also applies to underlay. It is a case of reverse thinking for most embroiderers! It works out that designs with fewer stitches run and look better on knitted fabrics than files with more, and this is precisely because of the longer stitch lengths. The biggest complaint I usually hear with regard to embroidery on knits is that small lettering doesn’t embroider well. It will look jagged or saw-toothed in appearance. Once again, you need to look at how the fabric is milled – usually vertically and so loose you can see the ribs in the fabric. When you apply embroidery, a column can easily fall on either side of the ribs causing the column to look as though it has ‘moved’. This can be extremely frustrating for a digitizer, because what you see on-screen looks perfectly straight, compared with the finished appearance of the sew out. On regular fabrics, an edge run underlay is the standard; with knits I prefer using a double zig-zag. 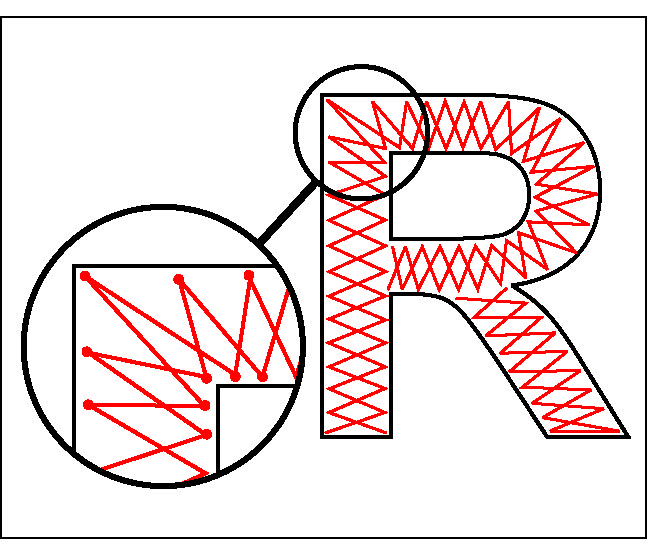 Even if your software has zig-zag underlay as an option I would advise you to put the stitches down manually. Laying these zig-zag stitches down manually and precisely in the corners of the columns will cover the ribs of the fabric instead of sinking into them (see figure 2). Even if the column stitch is thicker, laying down adequate underlay in the right order will stabilise the cover stitch before it’s even laid down. On a thicker column, you would want to use a double zig-zag first to secure the width of the column and then use an edge run underlay to hold it all in place (see figure 3). Underlay types and stitch length should also be changed; too many digitizers never experiment with these settings and just keep their software on the default settings. Knitted fabrics have a lot of stretch to them and the topstitching will easily distort if the underlay foundations isn’t placed down correctly. The main thing to look at with regards to the topstitching is the direction of the stitches being placed. Because most knitted fabrics are milled in a vertical direction you’ll want to avoid using the same stitch direction whenever possible. Fill stitches and satin stiches will sink into the fabric and cause it to distort horizontally. 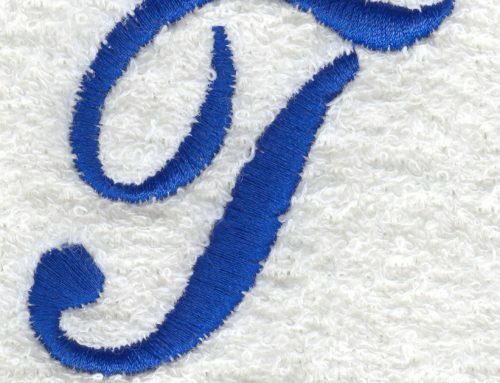 Standard densities will look sparse as the stiches sink into the fabric; this is when digitizers tend to increase the density of the fill stitch instead of simply changing the stitch direction (see figure 4). The other thing to consider is setting a policy with regard to limitations for designs being run specifically on knitted fabrics – for example, minimum lettering heights and column widths. It’s also important to experiment and learn how to realistically reduce detail within a design; when working with knitted fabrics you’re better off to have a clean-looking design with less detail, than to opt for a detailed design that ends up looking terrible. Let me know if you enjoyed this article or you have any questions by commenting below. Happy digitizing! Amazing tips. I absolutely LOVE John Deer and the knowledge he shares.